Like Blackbeard before him, Jean Lafitte was a real historical figure and an interesting one to boot. Lafitte was not only a privateer, smuggler and pirate but something of an American hero as he helped protect Lousianna from the British in 1815. By the time he was killed in battle in the 1820s, it symbolized the end of piracy, truly he was one of the last of his kind. 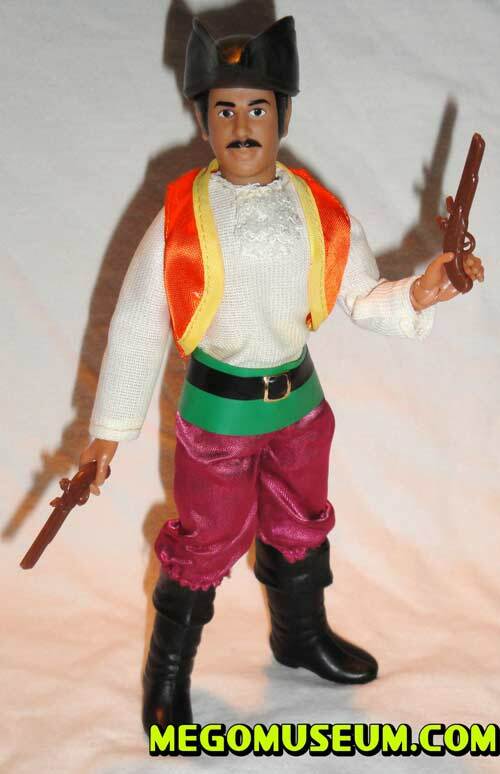 Mego’s head sculpt resembles depictions of Lafitte in his life, eventhough he has been portrayed in film by Yul Brynner and Fredric March, the sculpt seems wonderfully generic in this case (unlike the super knights). 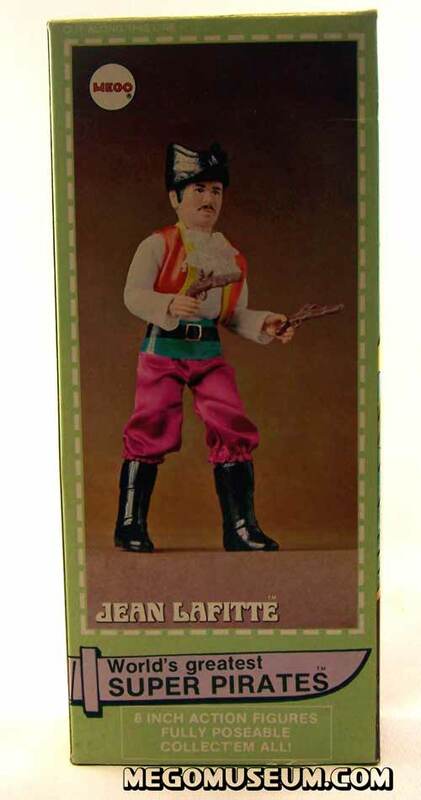 The Mego Jean Lafitte figure comes with two pistols but no sword, in terms of rarity he has always been the most elusive and hardest to find of all the boxed pirates. Type 2 Jean LaFitte is mostly found in foreign markets, like this Jean that came from Australia. The Super Pirates were only released in these deluxe window boxes. secured to the insert with white twist ties. 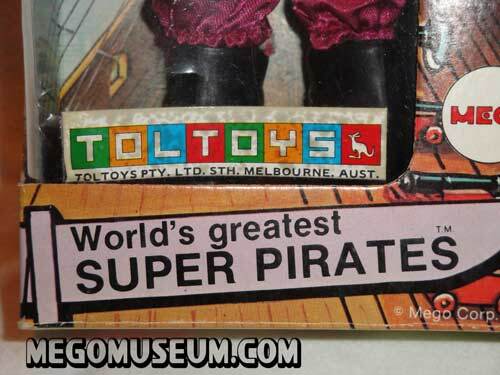 The Super Pirates were also released abroad by Toltoys (Australia) and Marx (Europe and UK), they are thought to have been better received in those areas. 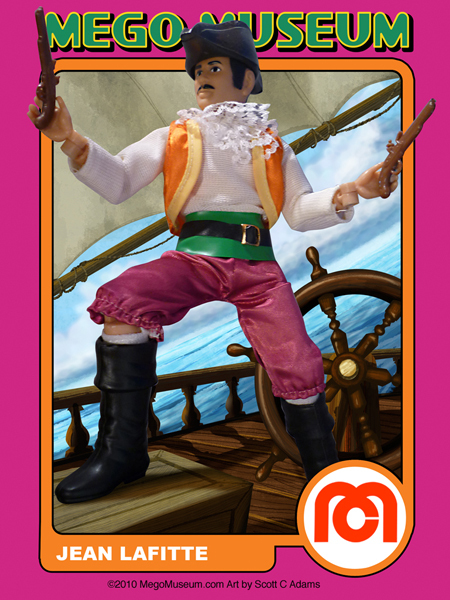 Above is a Toltoys version of Jean Lafitte, no packaging variations exist, the box is merely stickered. A close up of the Toltoys sticker. Jean’s shirt has been reproduced by Classic TV Toys. On the original the shirt material has a degree of transparency and a wider weave, while the repro has a much thicker and whiter material for the shirt. The lace collar on the repro is longer. The repro is unmarked. 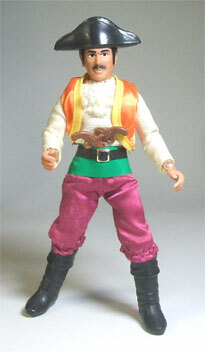 Jean’s vest has been reproduced by Classic TV Toys. The repro vest is darker orange and the trim is darker yellow. The repro is unmarked. 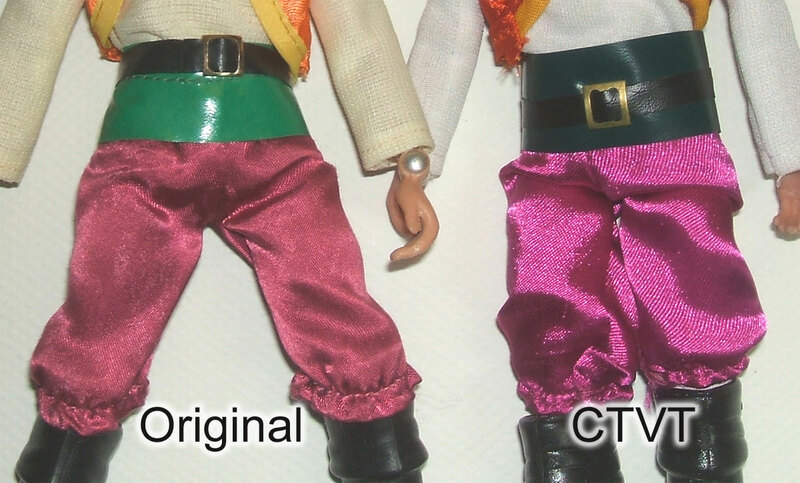 Jean’s pants have been reproduced by CTVT. The repro pants are a more purplish than the maroon of the originals. The green sewn in waistband on the repro’s is much darker and wider. The black belt over top has a buckle that is thicker than the original and the repro is unmarked. 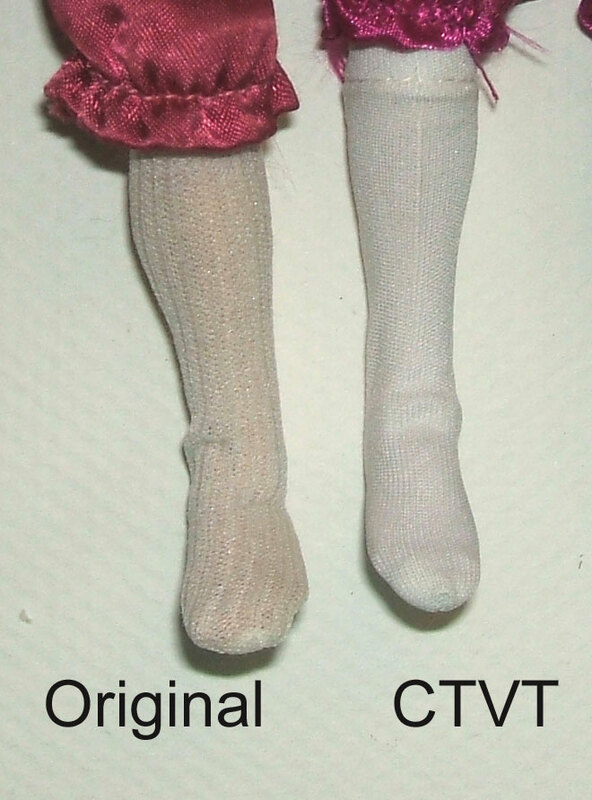 Jean wears white socks that have be reproduced by CTVT. The material on the repro’s is thicker, brighter white and a tighter weave. The reproductions are unmarked. Jean wears black versions of the Trek Andorian boot. These boots are unique to the character in color. The repro’s are a little more glossy and have a slight texture to them, where the originals are very smooth. 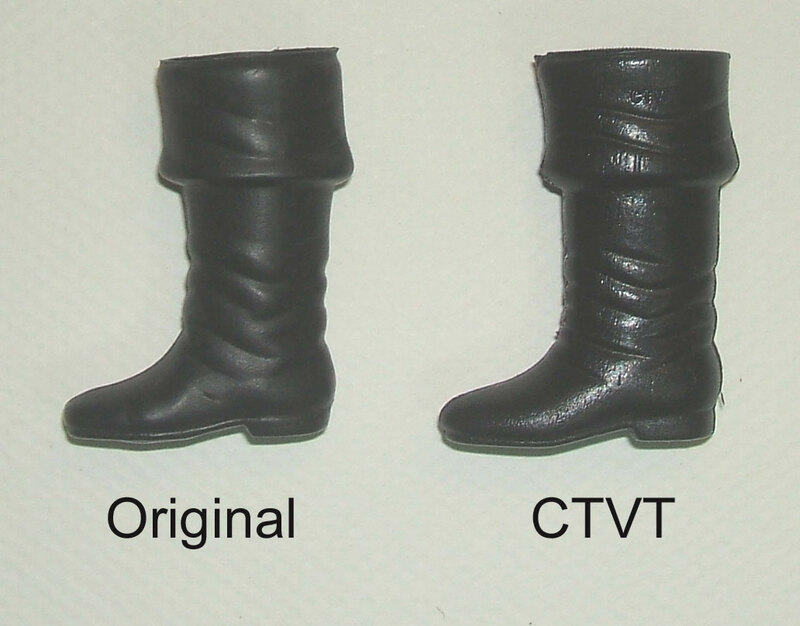 The CTVT boots are a little wider as well. They are marked CTV on the side. 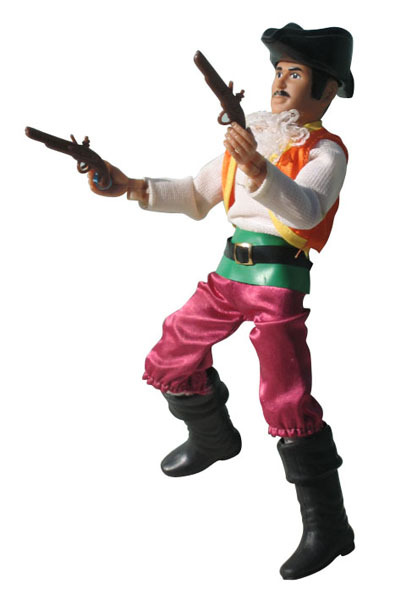 All of the Pirates except Long John Silver carry a style of pistol that is unique to the Pirate line. It’s a flintlock design. 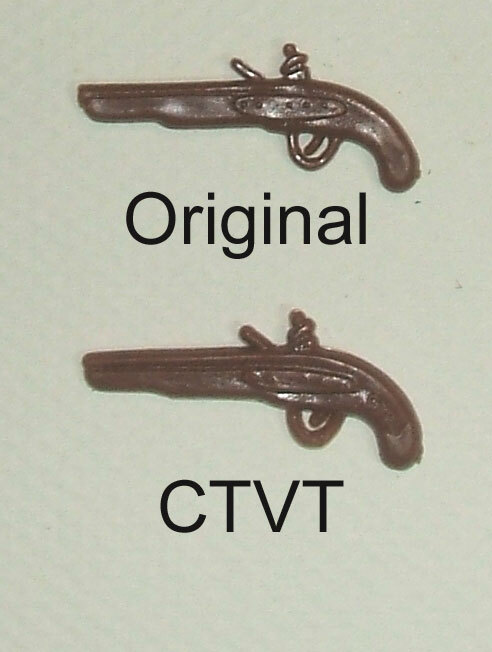 It has been reproduced by CTVT and is a lighter brown in color. It’s a little taller in height than an original and is marked CTV. The hat Jean wears has been reproduced by CTVT. The repro is very accurate although a little firmer plastic. It is marked CTV on the inside. 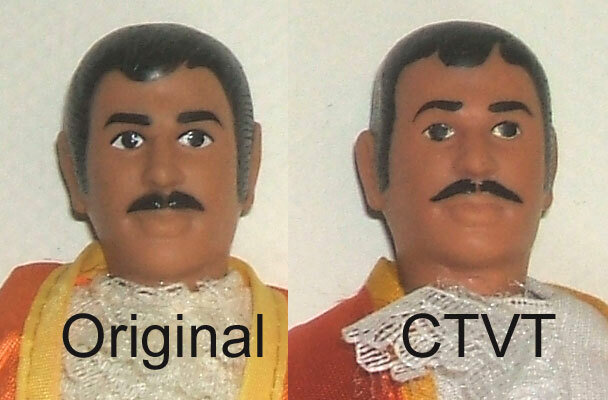 Jean’s head has been reproduced by CTVT. The original head is more rounded than the repro. They eyebrows are painted more narrow on the repro and the eyeballs are bigger. The mustache is also painted thinner and longer on the repro and it is unmarked.